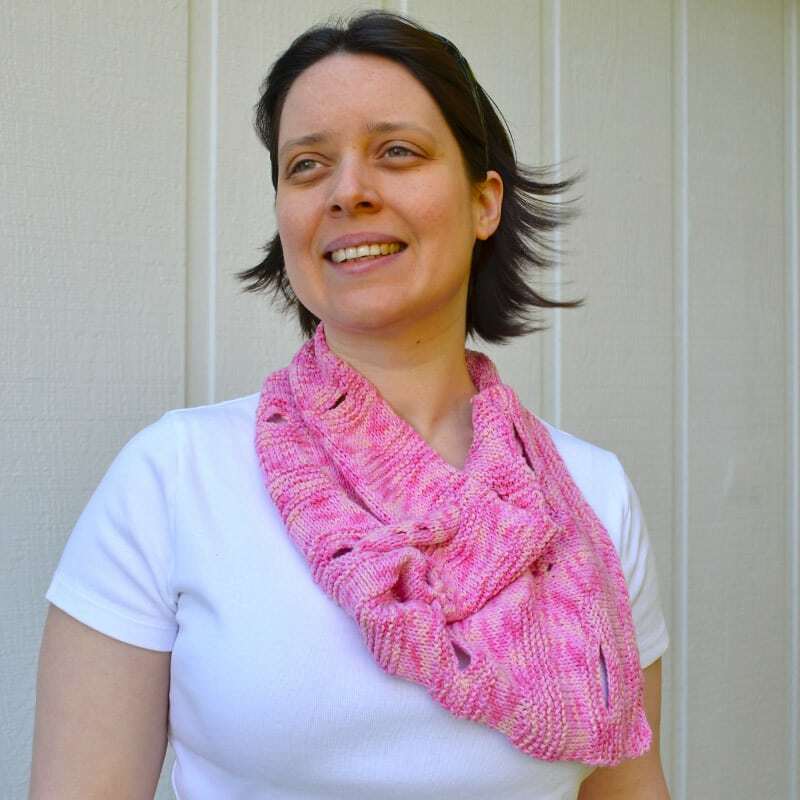 Knit your fondest vacation memories with your favorite travel yarn into a funky Shabby Chic summer cowl. 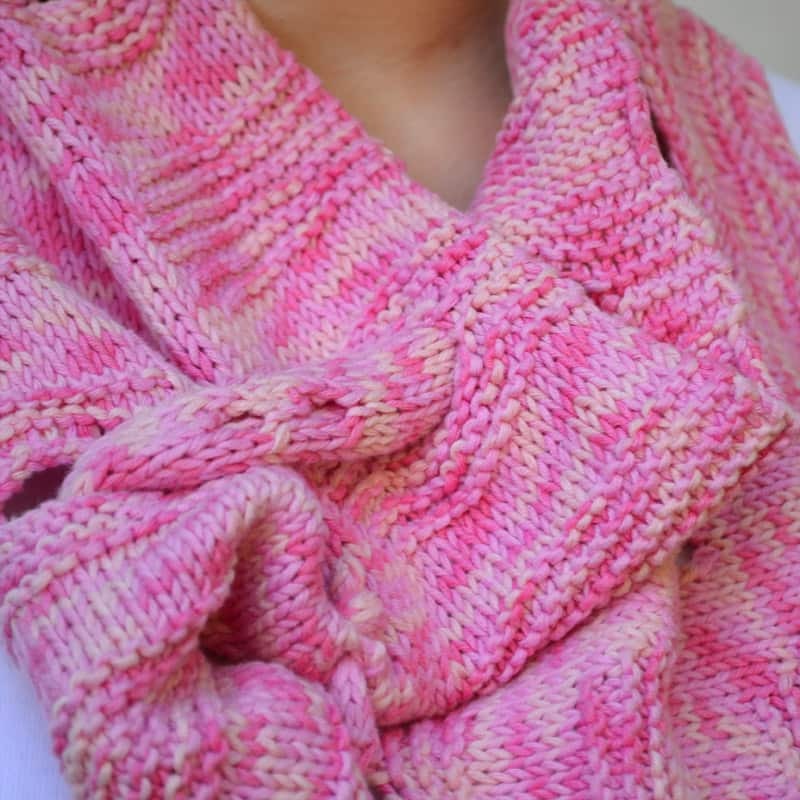 The feminine and eclectic stitch combination creates a wow FO from just a handful of common techniques. Celebrate the beauty of your stitches as you weave the end knot through the slits for a style uniquely you while your mind wanders back through sweet dreams of times past. 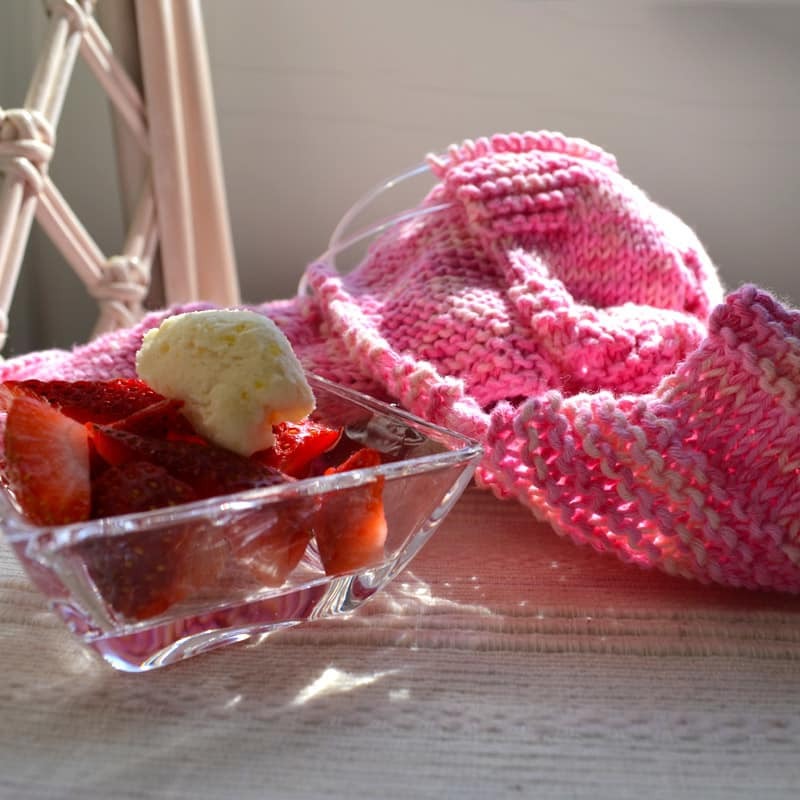 The tech edited and test knit easy level pattern is fully written and fully charted with a how-to bind off and cast on tutorial available on the Knit Eco Chic blog. 11”/ 28cm wide by 40”/ 102cm long. 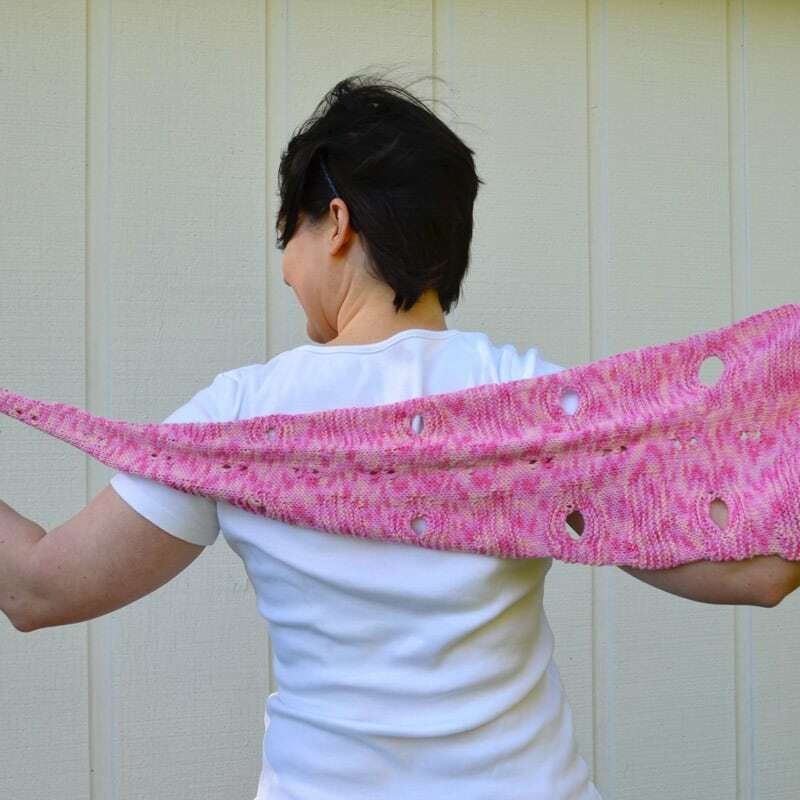 22 sts and 28 rows over 4”/ 10cm. Note: exact gauge is not critical to this design. Gauge variations may impact final size and yardage requirements. 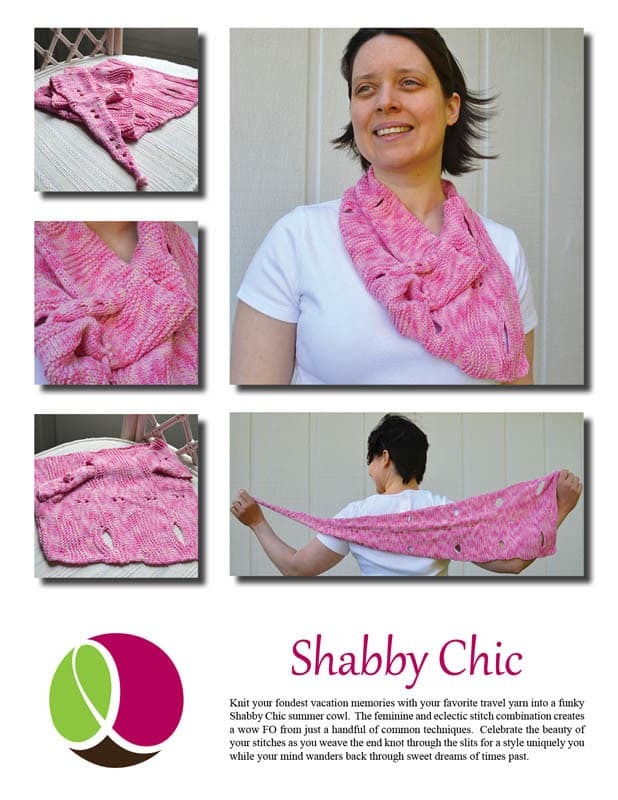 • Shabby Chic is worked from the widest end to the smallest in order to provide natural reinforcement for the yarn overs with the decrease stitches on either side.